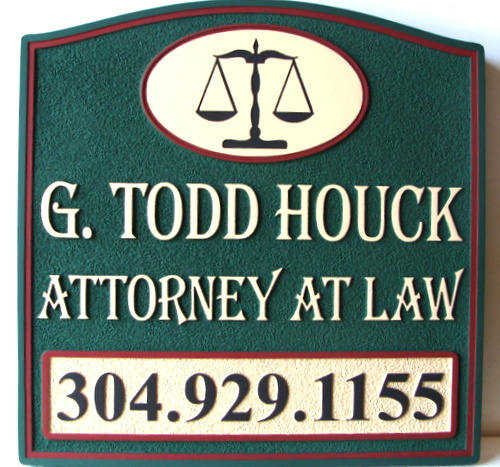 This green, red and pastel yellow painted 2.5 D HDU sign has raised text, art and border and sandblasted background. This attorney office entrance sign projects professionalism and dignity. After hand-painting, it is clear-coated twice.